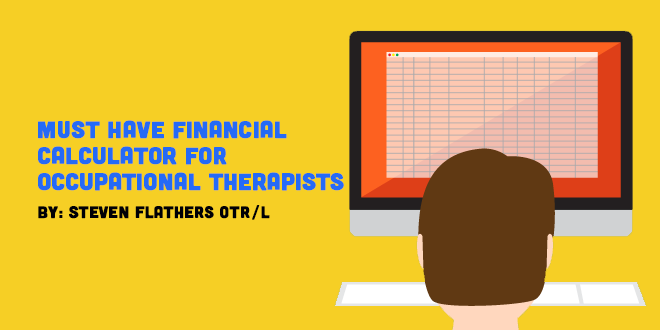 How To Use The Ultimate Financial Calculator For Occupational Therapists. Hey NGOT community! Have you ever wondered how to calculate the difference between a benefitted position vs a non-benefitted or per-diem position? Do you know what your budget forecast looks like for this year? How about your savings and budget for 5 years? We built this tool to help you answer all of those finance questions you may have! We included a video tutorial to get you up to speed on how the tool works. Although it is SUPER EASY to use, the video will act as a guide and make it even simpler. Download the financial calculator below!